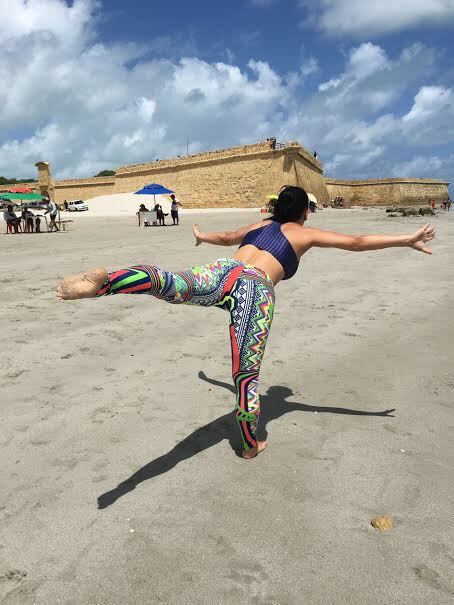 Summer moods.If you girls fancy practising yoga in a more colourful and bright style, try my Brazilian Summer Mood yoga design leggings, tops and shorts. All of them are designed for physical practices integrating body, movement and the environment. The material offers UVB/UVA sun protection, odours resistance, breathability, easy-care and all seasons wearability. Prices varies from £30 to £40 for leggings. Please contact us for more details. Mariana Domitzu was a member of Brazilian Gymnastics team. Ana Clara Faria is a gymnast, national champion in Brazil, nowadays a coach and arbitrator in Gymnastics. The both kindly modelled for DharmaYoga Brazil and UK at Itamaraca Island in January 2017.